Kenny Buongiorno is one of the masterminds behind the event we all know as Strange Days. Kenny was bit by the moto bug back in 1994 after purchasing his first bike, a Yamaha PW50. He currently owns a bunch of Sportsters or "dumpsters" as he refers to them. 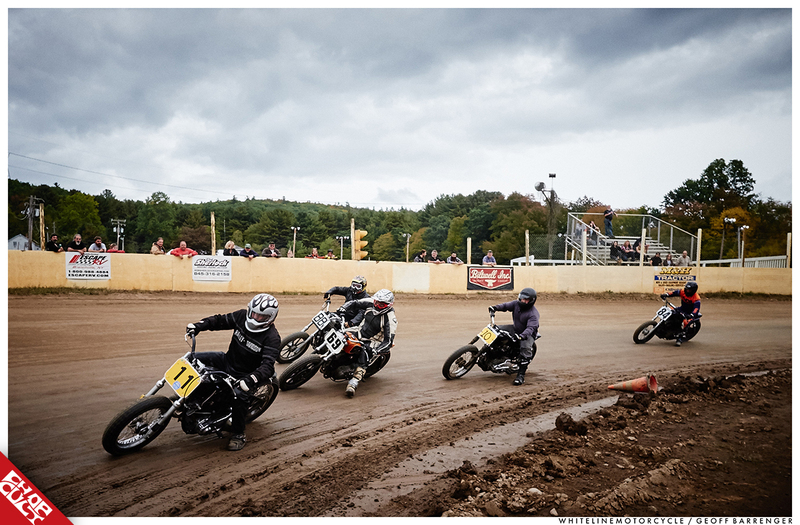 When he's not curating Strange Days, he spends the rest of his time organizing flat track races in Cuddebackville, NY. 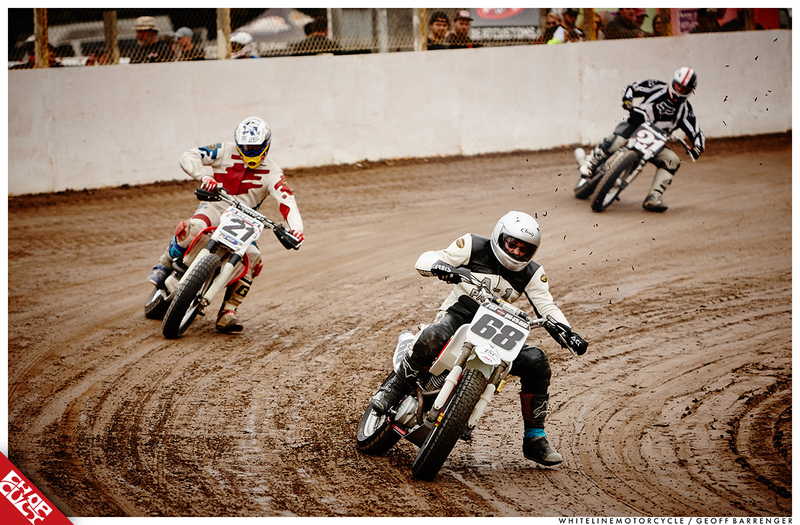 Ken's flat track racing obsession started four years ago thanks to his pal Matt Rush from Rush Cycles. 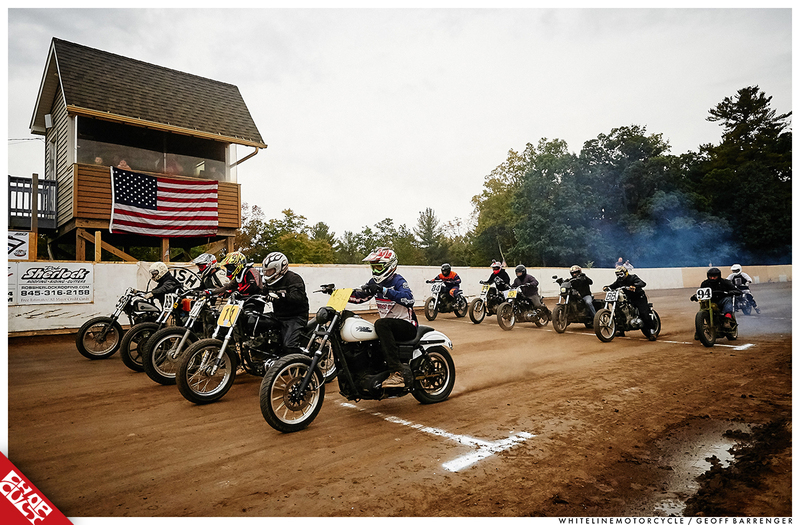 "Matt rode his 1960 Pan to Square Deal Riders in Port Crane, NY. He took off the lights, raced, and got a bottle of champagne for the participation award. Also, Bill Applegate raced the 1950 Pan TT. 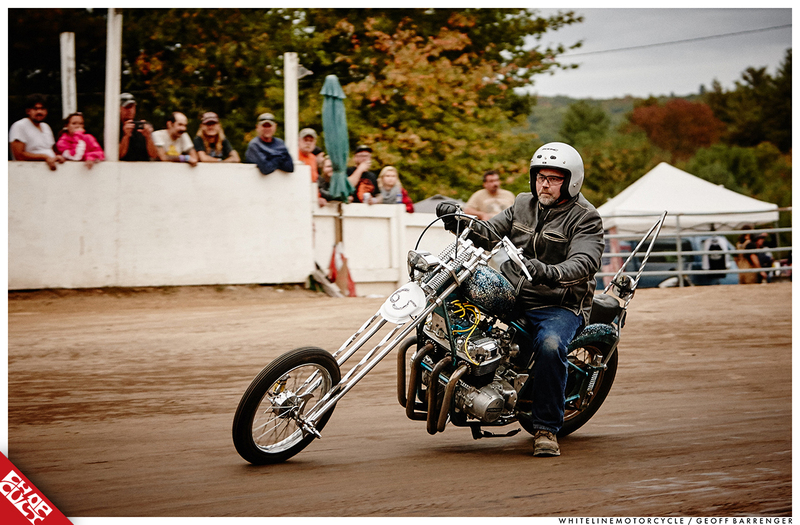 After hearing their fun stories, I ran my 1973 Ironhead a couple of months later at the Vintage AMA event at Oakland Valley Speedway. Needless to say, I'm hooked. My friends talked about bringing an event to our local track, Oakland Valley Race Park. My gears were turning on what the event would become, living in the Appalachian Mountains of NJ, the name gave shape to the project. The idea of producing a show and race is challenging, but the formula worked. The team that came together is awesome, and we're excited to bring more events to the east," stated Ken. 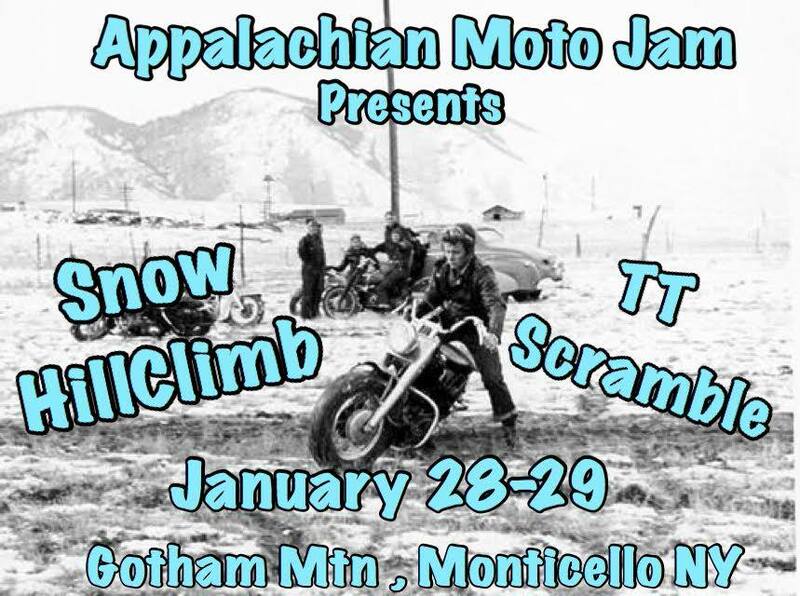 I asked Ken to give us the lowdown on the Appalachian Moto Jam and here are his thoughts. Enjoy!